1990 Madonna appears on the news program Nightline, where she debuts her video for "Justify My Love," which MTV has refused to play. As the lascivious clip plays, Madonna provides commentary, answering questions from host Forrest Sawyer. 1968 A TV special simply called Elvis airs on NBC, drawing a huge audience and revitalizing the career of Elvis Presley. Footage from two June concerts makes up most of the special, which pays tribute to Bobby Kennedy with the closing number, "If I Can Dream." 1964 The animated TV special Rudolph The Red-Nosed Reindeer debuts on CBS, with Burl Ives as the voice of Sam the Snowman. The special is based on the 1949 song, which has become a perennial favorite. 1947 Patti Page records her first hit single, "Confess." Unable to find background singers due to a strike, Mercury Records sound engineer Bill Putnam overdubs Page's own vocals. It's the first-ever recording with overdubbed vocals. 2016 Thanks to a spike in sales following his death, Leonard Cohen's original version of "Hallelujah" enters the Hot 100 at #59, giving Cohen his first entry on the chart. 2014 Graeme Goodall, an Australian recording engineer and co-founder of Island Records, dies at age 82. 2014 Sonny Bivins, leader of The Manhattans, dies at age 78. 2014 A fake MSNBC report claims that Guns N' Roses frontman Axl Rose has been found dead in his West Hollywood home. The band's official Facebook page posts photos of the singer with the caption "Ha! They say I'm dead -- again… Wait, what? WTF? It's a hoax. Guys. Get a life at ParadiseCity.com." The link references the band's online fan community. 2014 Ian McLagan (keyboardist for Small Faces, Faces) dies of a stroke at age 69. 2000 Kevin Mills, Newsboys' former bassist, is killed in a motorbike accident. He was 32. 1992 Mick Jagger and Keith Richards confirm the rumors that Bill Wyman, their bass player since 1962, will be leaving The Rolling Stones. 1988 Carole King and Gerry Goffin receive a Lifetime Achievement award from the US National Academy of Songwriters. 1983 Songwriter Irving Taylor dies in Los Angeles. Co-wrote "Everybody Loves Somebody," which later became a hit for Dean Martin. 1981 At a show in Hartford, Connecticut, AC/DC is prohibited from firing their cannons during "For Those About To Rock (We Salute You)," as police enforce an ordinance banning stage weaponry. 1979 Daniel Bedingfield is born in New Zealand. He is the older brother of fellow singers Natasha Bedingfield and Nikola Rachelle. 1978 The Cure drummer Lol Tolhurst accidentally pees on Billy Idol backstage after a show in Bristol, England, where The Cure are opening for Idol's band Generation X. Idol is entertaining a young lady in a men's room stall when Tolhurst unloads his lager, missing the urinal and hitting Idol's leg. The Cure are kicked off the tour the next day. 1976 Bob Marley is shot in the upper arm when intruders storm his house in Kingston, Jamaica, attempting to assassinate the singer. The attack was motivated by politics, as elections in Jamaica were days away and Marley was seen as supporting the ruling party. Marley made a full recovery and never had the bullet removed, as he was told that the operation could cause him to lose movement in his fingers. 1973 Ringo Starr releases "You're Sixteen" in the US. 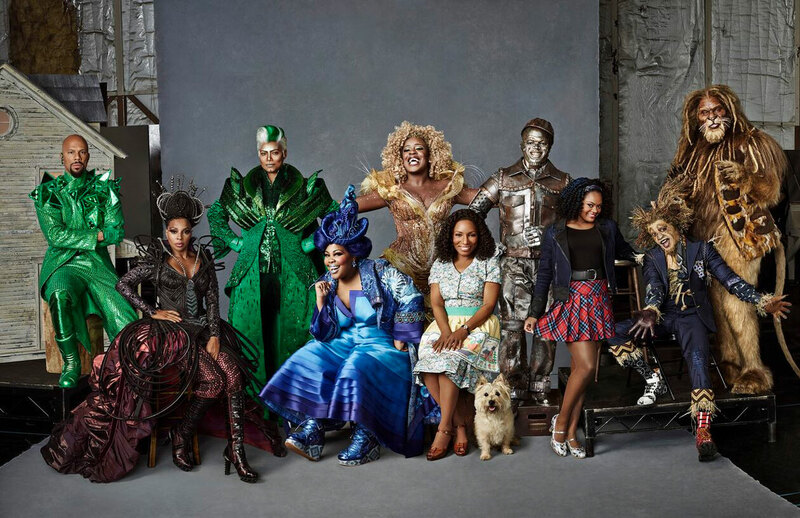 A live adaptation of The Wiz airs on NBC. Based on the book (but not the film) The Wonderful Wizard of Oz, The Wiz began as a stage production in 1975, and was made into a movie (with Michael Jackson and Diana Ross) in 1978. The updated version features Ne-Yo as the Tin Man, Mary J. Blige as the Wicked Witch of the West, Queen Latifah as the Wiz, Common as the gatekeeper to Oz, Shanice Williams as Dorothy, and Stephanie Mills (who played Dorothy in the original stage production) as Aunt Em. True to the original, it's a predominately black cast (one of the dancers in the Emerald City is white), perhaps offsetting the NBC musical from two years earlier, The Sound of Music, which had a predominately white cast. About 11.5 million viewers tune in, significantly more than the previous NBC musical, Peter Pan. Highlights of the production include dazzling crow costumes, updated (full-sized) Munchkins, and the musical number "Ease On Down The Road."